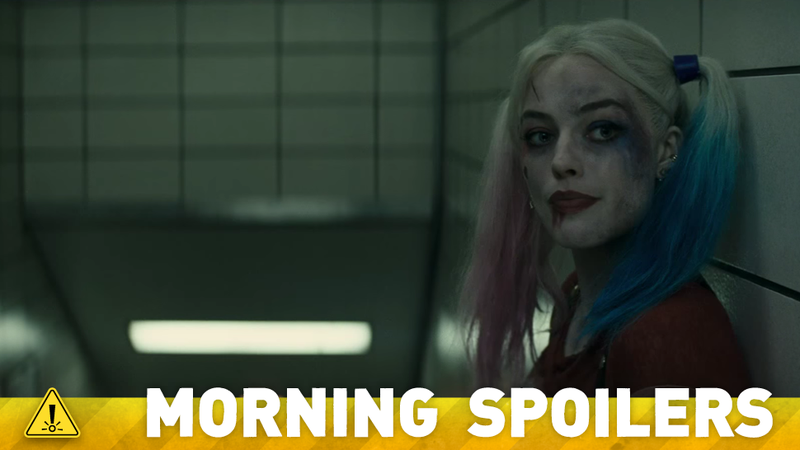 Will Suicide Squad Tell Harley Quinn's Origin Story From the Comics? Netflix wants a new season of a Marvel show to arrive every six months. A sneak peek at the next season of Doctor Who is coming to theaters. Plus new pictures from Deadpool and Batman v Superman, and new footage from The Man From UNCLE. To me, my Spoilers! A stunt double stand-in for Margot Robbie posted (and then swiftly deleted) a shot from the film’s set featuring the ACE Chemicals logo to instagram, hinting that the film will recreate scenes from the Suicide Squad comics showing the Joker “creating” Harley Quinn by throwing her into a vat of chemicals at the ACE facility, in similarity to his own origins shown in the seminal comic story The Killing Joke. The back and forth between Marvel and Rachel McAdams continues, this time with sources within Marvel telling Variety that the company wants McAdams—who has met with the studio—to play the female lead in the film. I’m not signed up to anything more. If it comes up... I’ve really enjoyed the experience. They’re an amazing group, this whole Marvel family. I’ve learned a whole lot and would look forward to more if it comes my way, but — if not — I’ve enjoyed the experience... I think in this one I had to carry a lot of plot and exposition. In the next one, I hope things get a little more bizarre… the Quantum Realm! Three new clips have been released from the film: Solo and Gaby Teller get into a car chase with Kuryakin, Kuryakin has a less-than-special day, and the two squabbling spies escape a gunfight in a speedboat. I think ideally there’ll be a rhythm of about every six months you’ll get a new season or series from the Defender group. Then we’ll crossover and do a combined season once we’ve launched the first season of each of the four characters. Some will selectively have second seasons as they come out. Additional reporting by Gordon Jackson and Charlie Jane Anders. Top image: Suicide Squad.